I am a global citizen who has been lucky enough to live in many parts of the world and make friends with people from different cultures. Estan locos? Are you guys crazy? The Shuar kill strangers on their land. This was the reaction of the (non-Shuar) locals at the edge of the Ecuadorian rainforest when my friend and I told them we planned to try to meet some Shuar people and learn about their culture. The Shuar of the Amazon basin are the stuff of legend: tribal warriors, shamans, headhunters who shrink the heads of their dead enemies and keep them as a trophy called a tsantsa . The Shuar were such a fearsome people they were never conquered by the Spanish - instead they were left more-or-less to their own devices and Western influence didn't really reach this indigenous people of the Amazon basin until the twentieth century. Although Christian missionaries have now made a big impact on their way of life - the Shuar I met assured me they hardly ever do headshrinking these days! 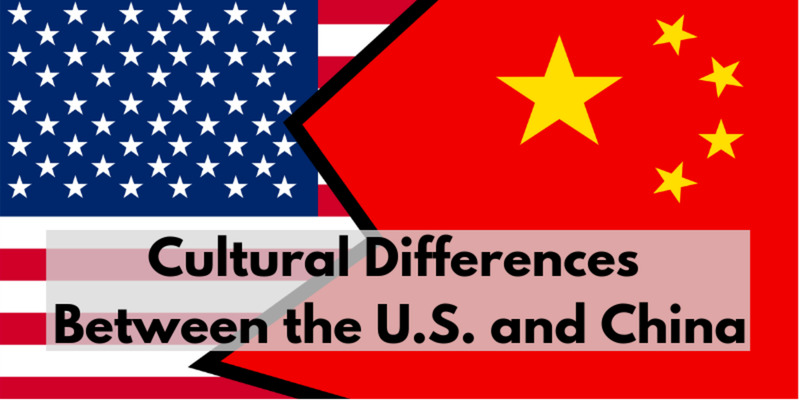 - they still continue to practice many of their unique and fascinating cultural traditions. These former headhunters are noted for their fierce character and the tenacity with which they defend their tribal lands in the Amazonian rainforest.This has given them some success in protecting their forest home from loggers, cattle farmers and oil companies who would have made greater inroads if the Shuar had not been so organized and determined in opposing them. Although wary of (and potentially hostile to) outsiders, they are very hospitable to invited guests. I had the privilege of spending a few days in the forest home of a Shuar family, complete with two wives, in Ecuador a few years ago. Our guide was a Shuar man called Luis who lives on the edge of the forest, who - for a price- was willing to take us to stay with his family inside the forest and explain to us about their traditional beliefs and way of life. As we set off from Luis's house on the edge of the forest where he lives with one of his wives to walk into the forest where his other wife keeps house, he picked up a rifle and slung it over his back. In case you want to hunt in the forest? I asked him nervously. In case we meet any other Shuar, he told me. And grinned. Shuar cook over an open fire. 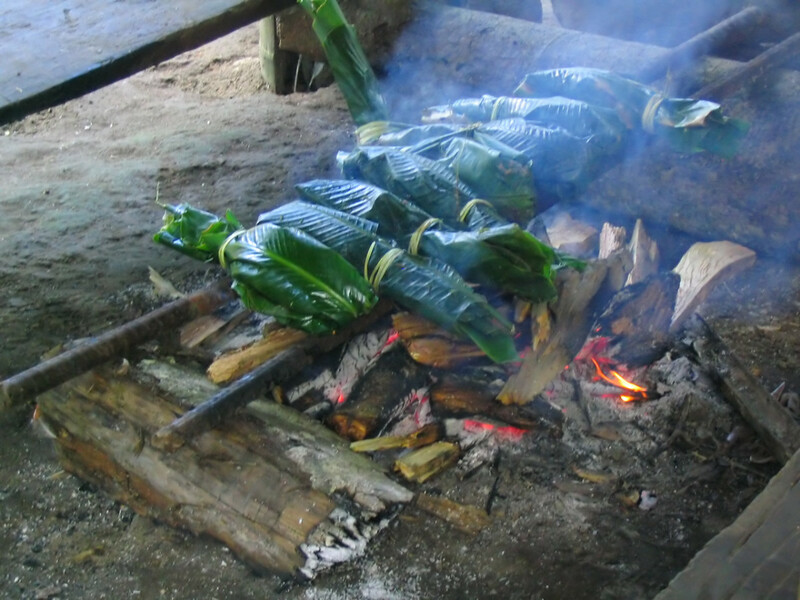 Often food is wrapped in a banana tree leaf to protect it from charring. So, I already mentioned Luis had two wives. I'm not sure he was legally married to either of them, but this was a continuation of Shuar tradition whereby a man could have more than one wife as long as he provided enough meat to support them from his hunting. I think Luis was rather proud of his status - having two wives meant he was something of a big-shot in the local Shuar community, compared to younger men starting out who could only afford to support one. But he still talked wistfully of the forest interior, the deep Amazon basin where wildlife was still so plentiful a man could hunt enough for three wives, maybe more. It was fascinating to watch how the two wives interacted with each other - or rather how they didn't. As we sat in the kitchen hut by the smoking fire, the two women never addressed each other directly but used some of Luis's nineteen children to pass messages to each other. The visiting wife helped out by sweeping the kitchen floor with a bunch of twigs, but she was careful not to interfere with the cooking which was the domain of the hosting wife. There seemed to be a strict etiquette around wifely status. The wife who kept house in the forest was Luis's first wife and it was she who welcomed any passing Shuar visitors with her home-made chicha. Chicha is an alcoholic drink of Latin America, made from whatever local crop is plentiful. 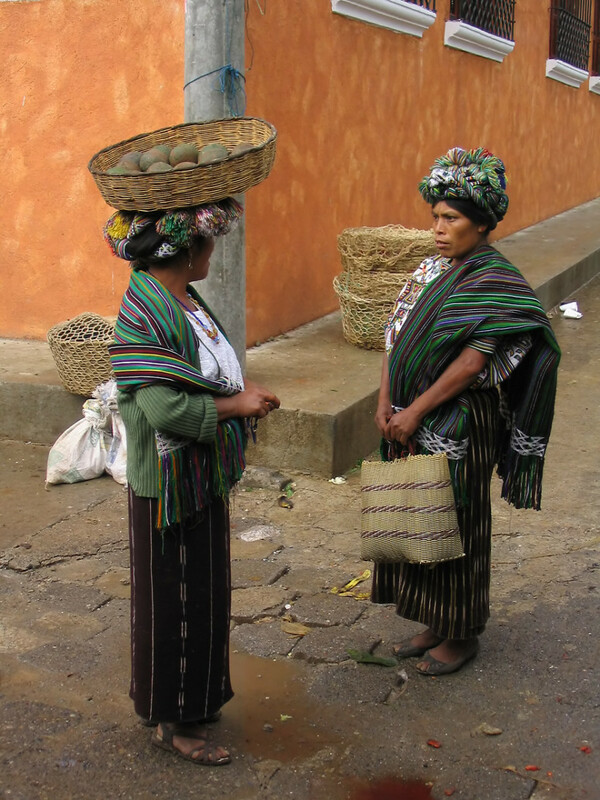 In the case of the Shuar, the women make chicha from yucca (a kind of potato-like root) which they chew up in their mouth before spitting out the yucca-mash and leaving it to ferment. It's terribly rude to refuse chicha as a guest, so as I drank my share I tried not to think too much about what Luis had told us of the preparation process! The Shuar family who hosted us were also very interesting for their attitude to children and danger. These days in Europe everyone is health and safety crazy - especially when it comes to children. Teachers have to fill out a risk-assessment form to take their class a walk down the street. But the Shuar have a very different attitude - I actually saw a four year-old playing with a machete, and no one seemed worried about taking it off him. And the thing is - he didn't do anything stupid with the machete, and he didn't get hurt. The women spent a lot of their time either gardening (they had a garden up the hill in an area of forest they'd cleared), cooking or washing clothes in the stream. Traditionally the Shuar never wore clothes, just beads and the like for decoration. While the arrival of missionaries in the twentieth century brought positive changes such as a big reduction in tribal warfare and headhunting / headshrinking, they also insisted that the Shuar should wear clothes. The problem is, there is so much mud in the forest that keeping nineteen children in clean clothes is an impossible and exhausting task. I'm pretty sure some of the women would have liked to go back to the days of just wearing beads. 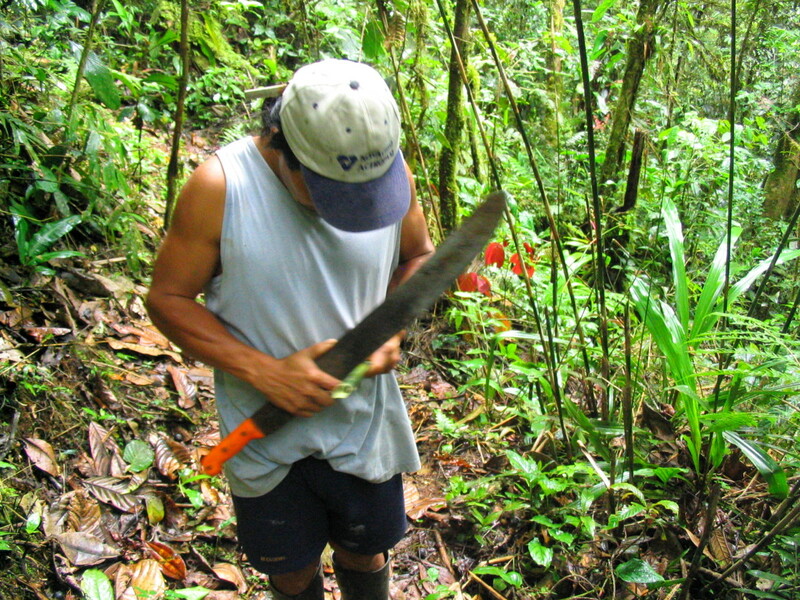 A machete is the most valuable tool in the rainforest. 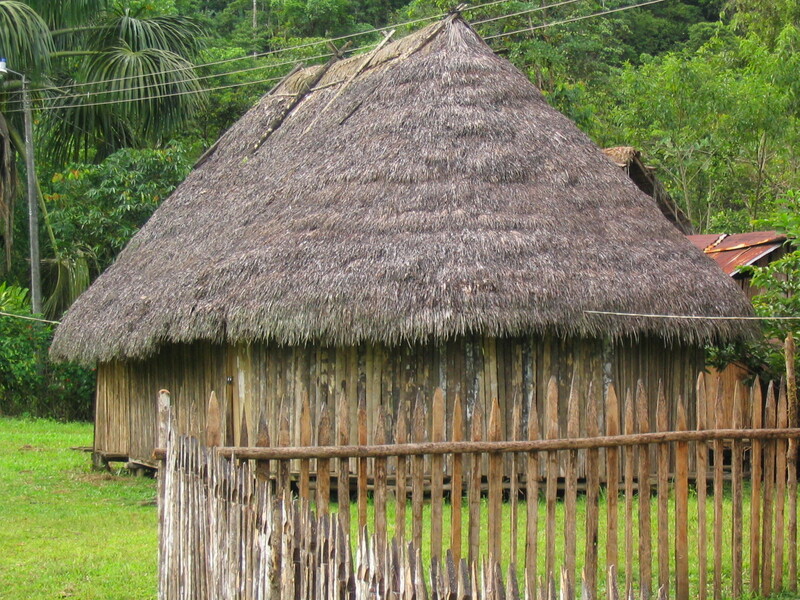 Shuar build their houses from the wood and leaves of the rainforest. This is a similar Achuar house on the edge of the forest. 'Shuar' means 'people' in their own language. 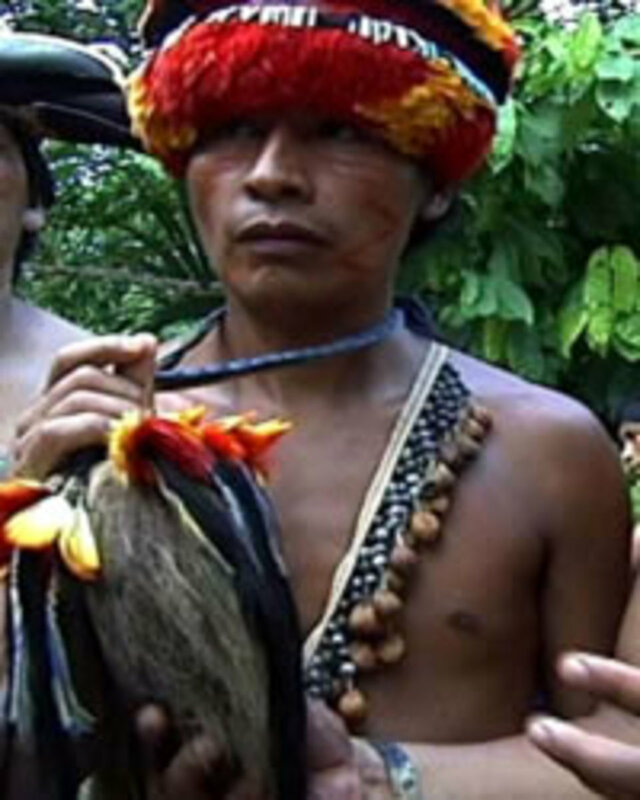 The Shuar are a sub-group of the Jivaro people; other sub-groups are the Achuar, Jumabisa and Aguaruna tribes. The Shuar live in the Amazon basin in Ecuador. There are at least 40,000 Shuar in Ecuador. Traditional Shuar religious beliefs are a form of animism, whereby they see plants, animals and places such as waterfalls as each having their own unique spirits. In their traditional medicine they use both herbs and shamanistic trances to chase away 'unclean spirits'. 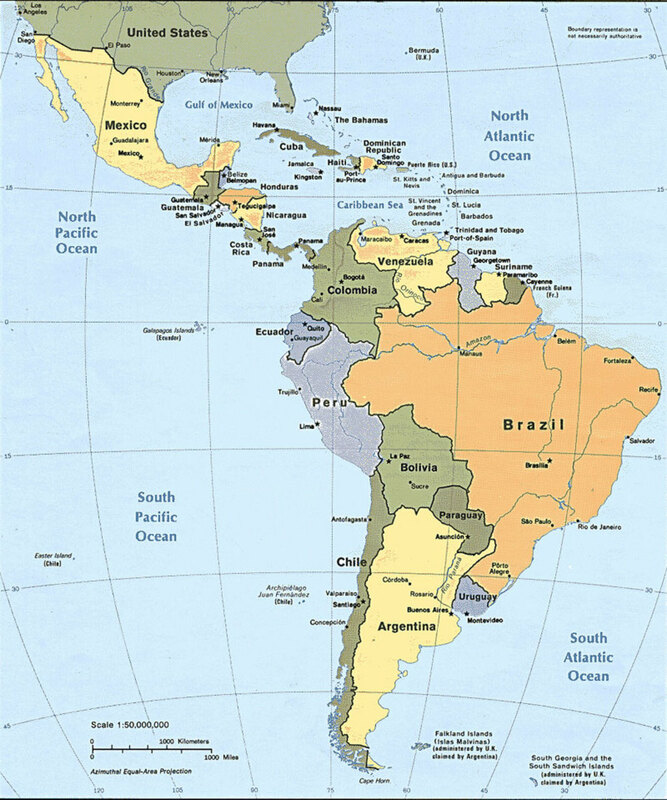 Western influence arrived with the Shuar in the form of missionaries in the mid-twentieth century. This has lead to much less tribal warfare, the wearing of western clothes, and some acceptance of western medicine. The Shuar Federation was formed in the 1950s and 60s. It is a platform for the Shuar people to speak with a single voice, to argue for their rights to their traditional territories and to oppose damaging activities in the rainforest such as logging and drilling for oil. Shuar men all carry rifles. They do not appreciate uninvited guests but some are interested in promoting eco-tourism. Research before you go to Ecuador - or ask me a question in the comments section below. First stop on our tour of the forest was Luis was the family's huerta (garden). Shuar practice the rather harshly-named slash and burn agriculture. What this means is they clear a small area forest, just enough to support their family and no more. They cut down the big trees and use every part of them for building shelters or canoes. Then they burn back the forest undergrowth. This actually allows new plants to flourish in the forest that before were blocked from receiving any sunlight. 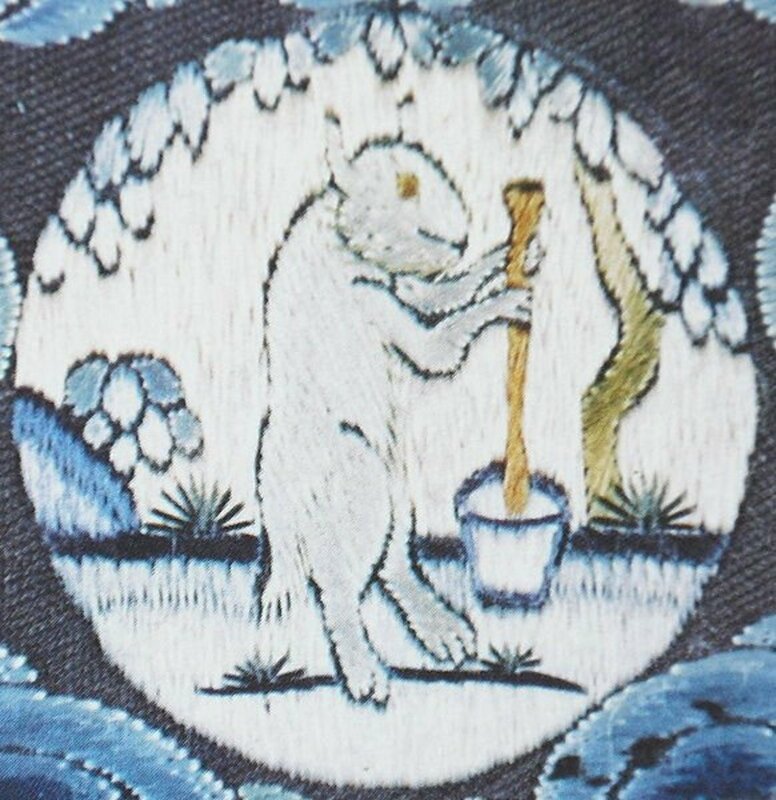 Then the women must make the ground sacred - they walk the perimeter of the garden singing to the nature spirits to bless the ground with fertility. Finally they plant crops such as yucca, potato, sweet-potato and ginger-root. The Shuar, Luis told us, also live off what the forest provides. Apart from the animals they hunt (no tradition of wildlife conservation here, I'm afraid) they use many forest plants for food and medicine. The tea we drank constantly during our stay was hierbaluisa, which came from the forest. Luis pointed out to us many plants in the area as having medicinal benefits. He also told us about the most powerful plant of all - the Ayahuascar which Amazonian shamans use to reach higher planes of consciousness. The shamans, he told us, go into a trance so they can enter the spirit world and help to heal a person whose health has been afflicted by predatory spirits or black magic. The Shuar have been known for their violent way of life. Luis could still remember the time when the Shuar were engaged in vengeful tribal warfare and long-lasting family feuds. His own father had been killed when he was a young boy, by an enemy from a neighboring village. Although he told us the Shuar legends of warriors and vengeance with a certain relish, he also said he was glad his children and grandchildren would get to have him around into his old age. 'Things are changing' Luis told us. 'But mostly it's for the best'. 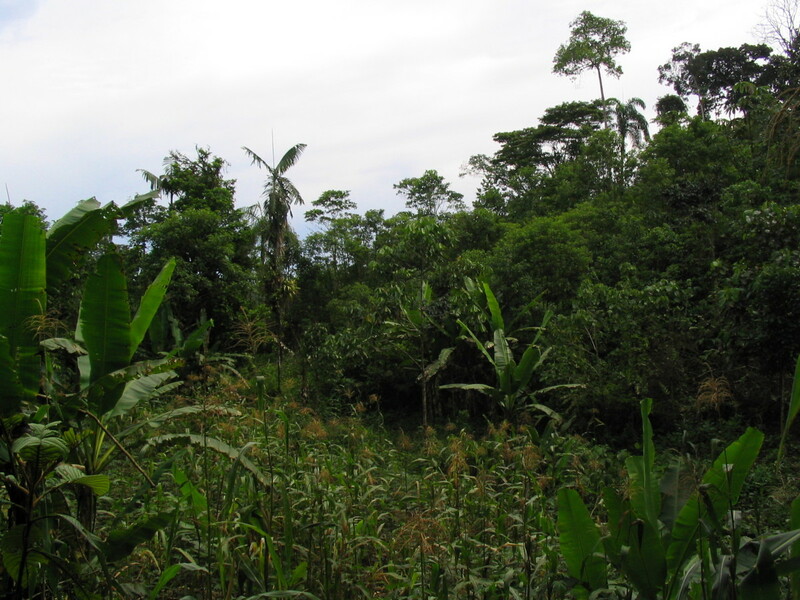 Shuar grow yucca, banana and yam in their gardens. A Shuar tsantsa, or shrunken head. How Do You Shrink a Head? The Shuar are famous for their tsantsa , the trophy heads of dead enemies. According to Luis they believed that the power of their enemy (arutam, or strength-energy) would pass to them if they kept the head around. Shrinking the heads made them easy to carry into battle, tied to a belt or around the neck. The carefully cut the skin off the head and removed the skull. Luis told us his father used the skull of a dead enemy as a pillow - he was a fierce man. Then they dried and shrunk the head-skin by filling it with hot stones. The dryness of the heat-shrunken skin was enough to preserve the head for many years to come. With the influence of Christian missionaries, this practice has all but died out - if it is practiced at all today it is deep in the interior of the Amazon only. With the encroachment of roads and farming into the forest of the Amazon basin, many Shuar live only one or two days walk from a shop. Flour and sugar are now becoming part of their diet. Many of their traditions are in danger of dying out, but if any group is strong enough to hold onto its traditional culture in the face of globalization, it is the Shuar. 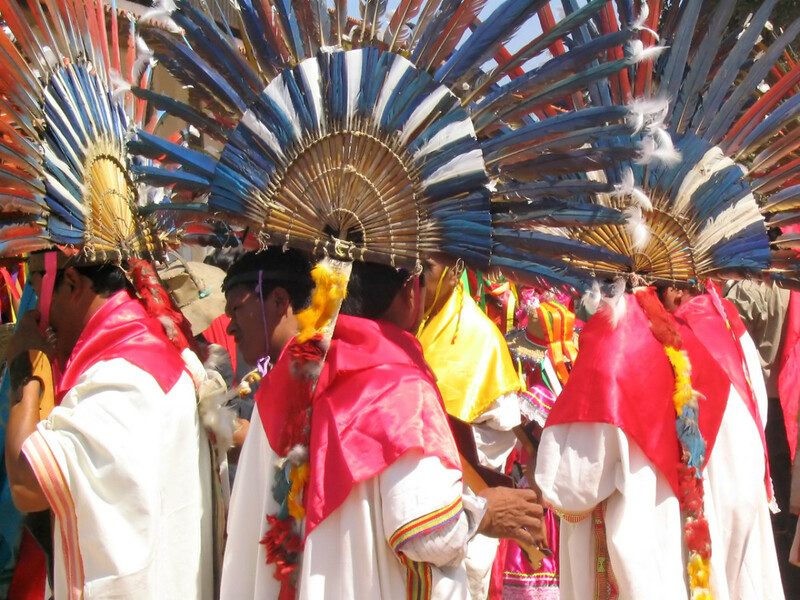 Here are related articles with more photos of indigenous culture in Latin America. 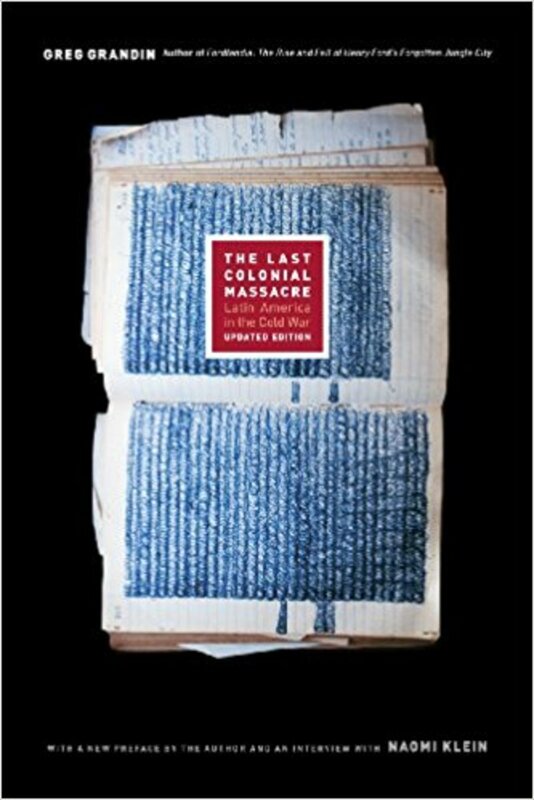 Review: "The Last Colonial Massacre: Latin America in the Cold War"
Very interesting and well-written hub. You're braver than I and much more adventurous. Loved your pictures. Voted up and awesome. I just watched a program on the National Geographic channel about the Shuar and the practice of head-shrinking. Your hub provides a lot more interesting information (e.g., the practice of having multiple wives) than the show. Thanks so much for this informative and well-written hub. Rated up! Thanks Aimee. You should be proud to be partly from Educador - it is a wonderful country! I will look out for your Shuar stories! Great article, Marie! What a great idea for a hub! It's heart-warming to me because I am Equadorian from my mother's side and I have a drop of South American Indian blood. We went to visit many years ago, and at a roadside museum, I saw a shrunken head. I had mentioned to one of my uncles that i wanted to take it home with me. Before our trip was over, he bought me one, well not a real tsantsa, but a fake one. My mother refers to it as "that ugly thing." I have written two short fiction stories about the Shuar people. What an adventure you had!!! Wooooow! This is way cool. 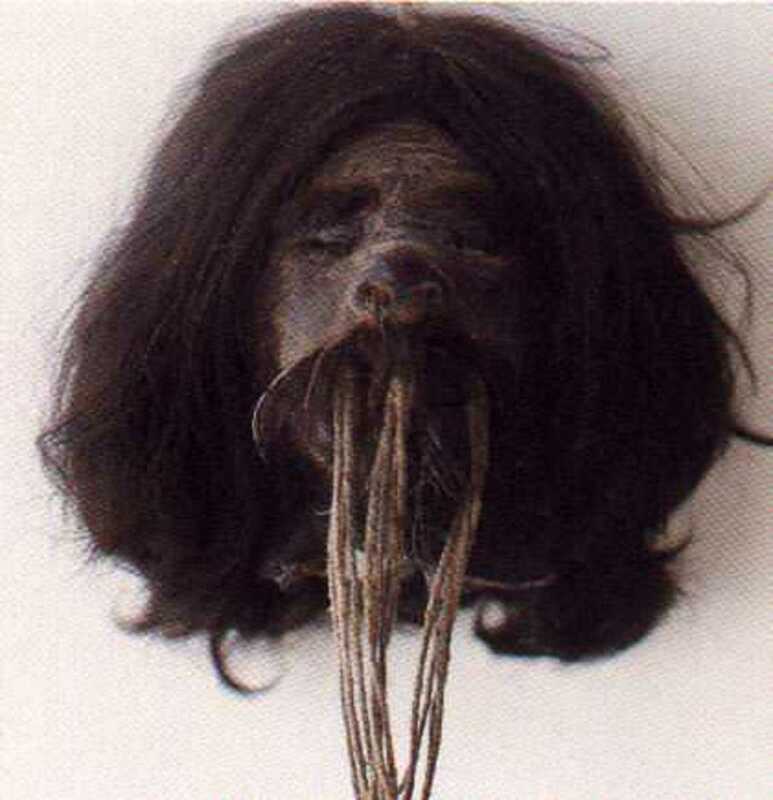 I had never heard of the Shuar, but I had certainly heard of shrunken heads. So fascinating. Your recounting of your experience is excellent, and I've learned a lot. Voted up and awesome! 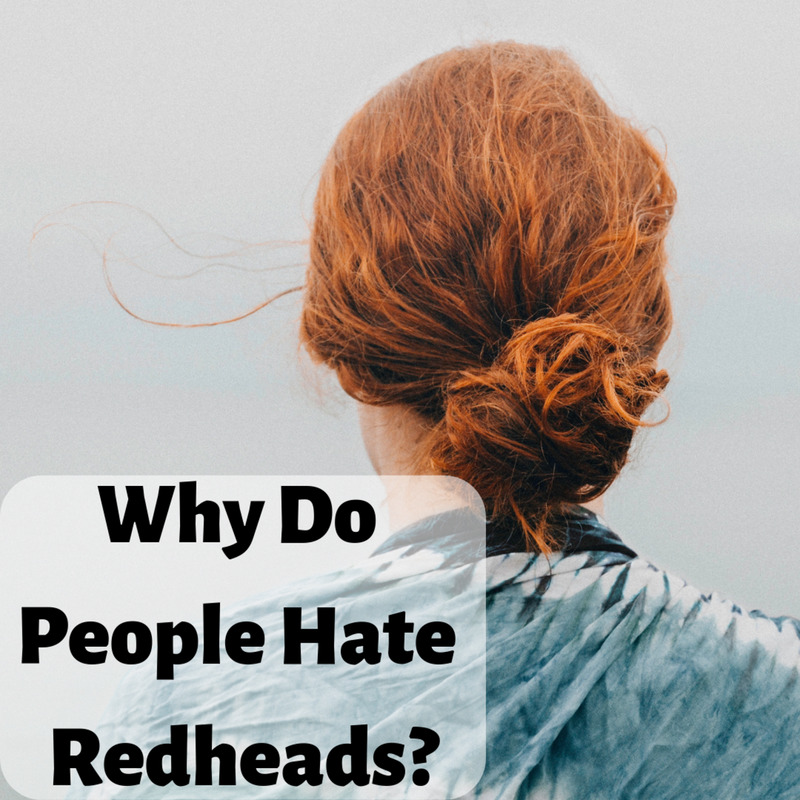 This was a very interesting read! What an amazing opportunity to be able to have this experience! Very informative hub, thank you!